We review a range of various vape devices to help you choose the best vaping device for your needs quickly and simply. From the basic e cigarette, the shisha pen or vape pen through to the more advanced vaporisers and vape mod devices. 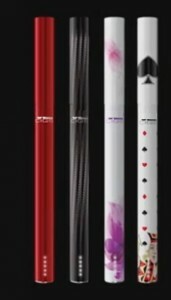 There are two categories, pre-filled e cigarettes and open system devices. Open system vape devices require the user to fill their device with e liquid whereas pre-filled devices are ready to use. For newer users, I would recommend using only the pre-filled options so that you avoid having to use e-liquids – an unnecessary additional step during your transition from smoking to vaping which can get a bit messy. 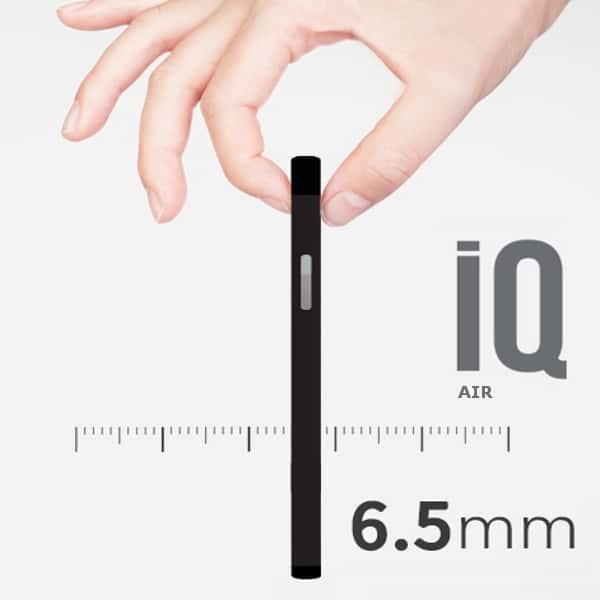 There is more of an association with smaller “cigarette like” vape devices which has a familiar feel when first making the transition from smoking. Click the image of the one you feel most comfortable with and check out the review. 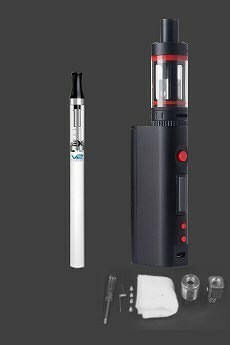 I want something that’s simple, straightforward and not too big with open system e cigarette to use any e-liquid to quit smoking. click here. I want something small, simple and straight forward and want an open system to use any e-Liquid and also vape dry herb or loose leaf tobacco or wax oil occasionally. 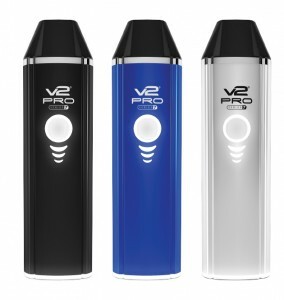 Advance Vape Pen producing maximum vapour – used by many simply for vaping their favourite e-Juice: See them here. I want a power vaporiser, but something simple and straight forward and want an open system to use any e-liquid. I also want to vape dry herb, wax or other material. I want something easy to use with e-liquid only but want the best regulated mod device with variable wattage, voltage or variable temperature. I would like to be able to exhale huge vapour clouds. I don’t mind if it is large or if there is more maintenance required. Box Mod shown along side simple vape pen to show scale. I am a social smoker or smoke on occasions but want to quit. I want something easy to use with prefilled pods and a modern touch. I need a simple “plug-an-play” vape device that is discrete and fits into my pocket or purse. The box mod device obviously burns considerably higher rates of e-liquid than say a vape pen simply because they create more vapour. So much so that it is recommended that users only use lower level nicotine strength e liquids with the box mod for sub ohm vaping (typically 3-6 mg whereas generally with e cigarettes users are using 12-20 mg nicotine strength). You do not want a nicotine overdose!